Jaw Spread: 1" to 15"
We are supplier of Manual Cable Pullers. 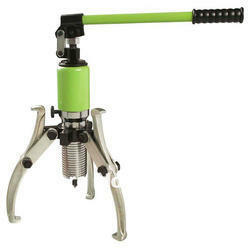 We are offering range of impeccable Mechanical Puller. Customers can avail from us Mechanical Pullers like Mechanical Jaw Puller and Cage Type Mechanical Puller in numerous specifications. 3-Leg Puller at IMTC has application for removing differential side carrier bearings on a wide variety of passenger cars and light trucks. Use with step plate adapters Nos. 8060, 8061, 8063, and 8064. (Step plate adapters are not included with 1028.) Puller with 3-1/2" maximum reach, 1-1/4" to 4-1/2" spread. Primarily for servicing Ford products. Our company has set benchmark in offering 3 Leg Puller. We offer wire cutter that works on the manual basis. Our range of wire cutter and pullers are available on the customized requirements of the clients. 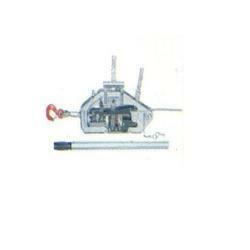 Ideated by Industrial Allied Products (India), the Manual Pullers is highly suitable for the industry sector. These equipments undergo strict quality check before being manufactured under our company name.